When asked whether they agreed or disagreed with the statement “America is more racist than other countries,” 46 percent of young Americans said they agreed. Overall, 49 percent of the 1,078 Americans polled said they believed America is racist. Those surveyed in the poll, conducted from Oct. 23-29, were also asked if they approve of athletes kneeling during the national anthem. Overall, 52 percent said yes, while 48 percent disagreed. In contrast to older generations, 66 percent millennials, ages 22-37, said they approve of athletes kneeling during the national anthem, while only 34 percent said they disagreed. Nearly 60 percent of boomers, ages 54-72, said they disagree with athletes kneeling during the national anthem. Only 43 percent of the boomers said they approve. 8 in 10 Americans failed the FLAG’s American Patriotic History Quiz. Less than 1 in 4 Americans know who authored the Federalist Papers. 8 in 10 Americans cannot name the 5 freedoms guaranteed under the 1st Amendment. 6 in 10 younger Americans (under 37) did not know who was on Mt. Rushmore. Less than half of the respondents knew how many amendments were in the bill of rights, and that number dips to 2 out of 5 for millennials. When asked about the first 5 amendments, respondents were clear on the first two, but fell to a little over half of all respondents knowing the rights of amendments 3, 4, and 5. 35 percent of the Americans surveyed believe the United States is a sexist country. 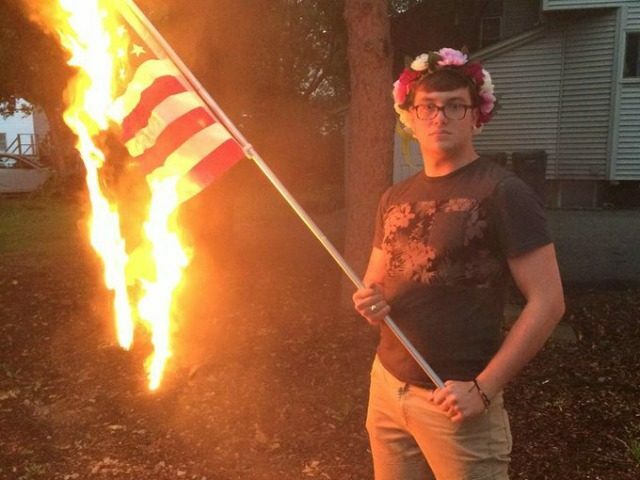 2 in 10 Millennials see the American flag as a sign of intolerance and hatred, and 4 in 10 believe it is ok to burn the American flag. A sample of 1,078 Americans were contacted, including 100 Americans ages 14-17 and 107 and Americans age 18-21. Responses were balanced for generation, gender, and census regions.